Flat, dry, shaken, or stirred –no matter how you take your drinks, the cocktail has something for just about everyone. While cocktails can be as complex, or novel as you’d like –the fact is that they don’t have to be. Often, some of the best things in life are simple, and, if the popularity of certain mixed drinks is anything to go by, some of the most popular cocktails are refreshingly, simple as well. If you’re looking to “shake up” your cocktail party, don’t fear –it’s not difficult to create simple mixed drinks that will help to make your party a blast. Here are three popular cocktails that are fun to make –and drink, that you’ll want to consider adding to your menu. You don’t have to visit Margaritaville for an amazing margarita; margaritas are a surprisingly easy-to-make cocktail that should be number one on your list when hosting a cocktail party. With only four simple ingredients, it’s easy to get this one right. Start off with a good tequila (100% agave), some Cointreau or orange liqueur, fresh limes, salt and of course, ice. Margaritas can be shaken, or blended, with or without salt. If you’re feeling adventurous, you can make an endless variety of different types of margaritas. Get the recipe. Whoever said not to do things in half measures obviously never made mimosas! Mimosas are a classic, yet oh-so-simple cocktail that is made by combining equal parts champagne and orange juice. 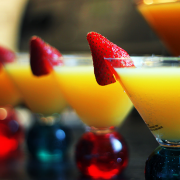 Fill champagne flutes half full with orange juice, tilt the glass, and top off with champagne or sparkling wine to create your party-perfect mimosa that’s sure to impress. Get the details. A Mojito is a classic, Cuban cocktail made with lime, mint, and of course, plenty of rum. To get the perfect Mojito, start by adding mint leaves and sugar to a bowl, mixing until the sugar is dissolved. Next, add fresh lime juice and white rum. Strain the mixture, and just before serving add club soda, and garnish with mint leaves and lime wedges. Grab the recipe. These three drinks are simple, classic, and the perfect features for your next party. 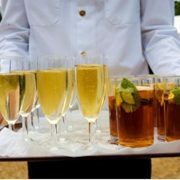 If you’re thinking of hosting a cocktail party, or just looking for drink ideas to jazz up your next get-together, these three cocktails won’t leave you, or your guests, disappointed! If you’re planning a party or hosting an event, consider enlisting the services of professional event planners, Bash Divas –for a simply brilliant bash. We do weddings, birthdays, galas, and more for Toronto and the GTA. Is Shabby Chic Too Shabby for an Event? Shabby chic is a décor style that many people know and love. But while it’s a style that’s often used in homes, it’s also extremely popular for events. This is because, despite the name, this décor can lend an elegant and upscale feel to occasions ranging from parties to weddings. Even the most fashionable fashionistas have embraced this style –see: Jessica Simpson, Denise Richards, and Madonna, for instance. If vintage, boho, rustic, and antique are styles that appeal to you, then you’ll love shabby chic. Don’t let the word put you off; this décor has a timeless and classic appeal –perfect for an elegant, yet rustic event. If you’re looking for a theme for your upcoming event, here’s what you should know about shabby chic. Shabby chic décor is well-loved for its soft, dreamy take on old-fashioned décor. This style makes use of rustic or distressed furniture, offset with just a touch of glamor. Think: crystal chandeliers, pearls, ribbons, and lace. When used in events –or home décor, this style evokes classic country style, with a touch of timeless elegance. 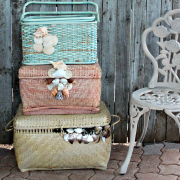 What Events Can Benefit from Shabby Chic? While shabby chic décor is popular with interior designers, it’s also a popular style for events –especially weddings. This style is a great way to combine the feeling of ‘something old’ and ‘something new’ with a fashionable, elegant feel that many brides-to-be are looking for. While it might not be an ideal décor style for, say, a corporate meeting, shabby chic can definitely be used for many other events. The beauty of this style is that it can be as simple or elaborate as you’d like. Whether you simply use accents like lace and flowers, or go all out and bring in some vintage or rustic furniture, and accent with plenty of candles, pearls, and crystal details, this style is a great match for many events –and something you’ll want to consider if old-fashioned décor and modern elegance both appeal to you. Don’t let the name put you off –shabby chic can be dressed up or down, making for an event that’s as rustic or elegant as you’d like. It truly is a versatile and classic style, and may be just what you’re looking for, for your big day. Shabby chic: love it or hate it? 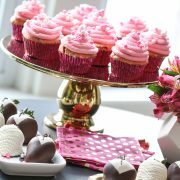 http://bashdivas.ca/wp-content/uploads/2016/06/ShabbyChic.png 1024 865 Sarah Sekalala http://bashdivas.ca/wp-content/uploads/2015/01/BD-Web-Logo.png Sarah Sekalala2016-06-27 10:00:112016-08-05 08:47:43Is Shabby Chic Too Shabby for an Event? Are you planning an outdoor event? Don’t let the threat of rain get you under the weather! With careful prep and planning, you can arrange an event that’s weather-proof –one that you’ll be able to pull off without a hitch come rain or shine –or scorching sun, wind, or snowstorm! But protection from the elements is just one aspect of outdoor event planning. Other potential issues that can arise include bugs, slippery walkways, and problems with permits and facilities. Being prepared in case of the unexpected is an important part of planning your big day. Here are a few things that you’ll want to do to help disaster-proof your event in case of an emergency. Weather can make or break your event, and unfortunately –it is something you can’t control. You can, however, ensure that you have a backup plan and a marquee –or indoor facilities to ensure that your event will go on even if the rain clouds appear. 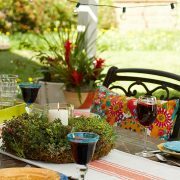 For outdoor events, you’ll also want to make sure that you use decorations that won’t blow away in the wind. Choose sturdy décor pieces, and make sure everything is anchored properly. Even if it doesn’t rain, you’ll still want to ensure the comfort of your guests. If it’s a hot day, you’ll want to make sure that the guests aren’t forced to sit out in the hot sun for too long without proper protection –so provide shade, water, and sunscreen. If there’s been a lot of rain recently, make sure you prepare for slippery walkways. Also, consider pests; mosquitos, gnats, and ants –you’ll want to make sure the area has been sprayed before the event. While not exactly the highlight of a party, obtaining the proper permits is an important part of the process. Many outdoor events require a permit, so don’t wait until the last minute to find out about this important detail. Once you’ve booked a venue, get the proper permits; neglecting this step could get your event cancelled. Finally, you’ll want to make sure there are adequate facilities for your guests. If there are no restrooms, you’ll need to hire some for the day. If the venue has on-site restrooms, make sure you check their condition before the event. In some cases, you may want to spruce the bathrooms with extra toilet paper, scented candles, and toiletries. Prepping for the event is often more work than the main occasion –but it’s an important part of your event. By taking time to be well-prepared, you’ll be able to look forward to your big day without having to worry about the weather, or any other unexpected issues that may arise! At Bash Divas, we take the stress out of event planning. Contact Bash Divas for help planning your big day. As anyone with kids knows, they’re always looking for an excuse to party! Their 16th birthday is certainly no exception. Unfortunately, though, planning a 16th bash that’s fun, cool, and well, not too childish is no small task. Finding that balance of fun and maturity can be tricky –especially when their friends will be there, and everything parents do is oh so humiliating! If you’re looking for ideas for your teenager’s party, don’t worry –we have you covered. 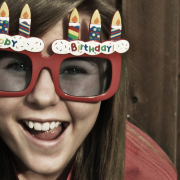 Here’s what you can do to ensure that your youngster’s birthday is fun, exciting, and only a tiny bit embarrassing! Involving your child –young adult, sorry –in the planning process will help you to know exactly what type of party they want to have. Plus, if they’re involved, they’ll be more likely to enjoy the bash! Take your birthday teen out to a coffee shop, and sit them down for a brief chat. Grownup drink in-hand, they’ll feel more relaxed, and more apt to open up. Everyone is different, with varying ideas on what constitutes a fun day. Some may want to hit the bowling alley, or paintball arena, while others may want to go to the movies. Asking for their input will help you both feel much better about the whole thing. The music is the life of the party, and teenagers today –like young people of every era, have strong opinions about what constitutes great music. You won’t want to blast the Bee Gees if they’d rather have Taylor Swift at their party, so find out ahead of time what type of tunes they enjoy listening to, and get them involved with making a playlist. Involving them in this project will save them from embarrassment when oldies-but-goodies come blasting out of the stereo. If it’s in the budget, you could also consider surprising them with a live DJ to play special requests. It’ll only be a little bit embarrassing –but mostly cool. If you get the food right, you’re over halfway there. Plan on serving their favorites –pizza, pizza, and pizza, and make sure you order stock up so there are no shortages throughout the event. Teenagers get famished rather quickly and having a steady supply of snacks on hand can prevent them from getting moody; just like toddlers! Ok, we’ll stop! But make sure there’s enough snacks and drinks, with extra on hand –just in case. Pin the tail on the donkey may be out, but you can still bring out the games. Consider having board games and video games sitting out, ready to go. If the weather’s great, they may want to play a quick match of soccer or basketball outside, and chill out with a favorite movie afterward. The kids –er, teenagers, will naturally gravitate towards the games as long as they’re on hand, so there’s no need to plan a structured game time –just let them play as the mood strikes. Finally, it must be said –there’s really no need for you to be on hand every minute during the party –really, it’s ok! You can come out at key moments or check in, but giving the kids some parent-free time is always a good thing. And of course, it will save them from the devastating embarrassment that they, gasp, have parents! So give yourself permission to sit back, and let the party unfold. Your youngster’s growing up! Congratulations on raising a fine young adult! Are you planning your teenager’s 16th? Weddings are a wonderful time. They represent new beginnings, love, and happiness. Sometimes, though, reality isn’t quite so perfect. Take for example, wedding gifts. While we all know that normal, standard gifts –toasters, for instance, or fancy dishes or bedlinen, are generally considered to be acceptable wedding gifts, some people, it seems, prefer to take a walk on the wild side and buy the happy couple gifts that, well, may not be suited to their tastes. Artwork is tricky to gift. Most people have very specific tastes when it comes to décor, and it’s usually best to let them choose the art that will adorn their walls. Sadly, not everyone shares this opinion. 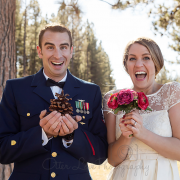 We’ve heard of Post-it note artwork, a personalized log, complete with the couple’s initials, and a purple handmade photo album, taped together with packing tape. Yeah. Weddings aren’t really the best time to try your hand at homemade art. Who would think to gift a bride with a banana? Apparently at least one person has! Even if it is gift-wrapped nicely –no, just no. As a good rule of thumb –spiders of any type usually make bad wedding gifts –especially tarantulas. Unless you are absolutely certain the bride will love it, just don’t do it. Get a gift card instead. Why, just, why. We have no words for this one. Just add it to your do-not-ever-gift list. Along with the toilet roll holder and toilet paper. Yikes! Wondering what to get the bride-to-be? Relax! It’s not hard. Just pick something off the registry, or get a gift card –or check. As long it doesn’t bounce, you’ll be ok! What strange wedding gifts have you received? An amazing event is the result of hard work –and careful planning. Creating a perfect event doesn’t happen overnight. As you undoubtedly know, there’s a lot that goes on behind the scenes to take an event from the idea stages, on to the grand occasion. From the initial concept and planning stages to sourcing the venue, décor, food, and entertainment, and then pulling off the perfect event seamlessly and professionally, there’s a lot that happens to turn your ideas into the final occasion. We know that you have a spectacular event in mind, and we want to do everything we can to help make your day as perfect as you’ve imagined. So how do we do it? Read on to see our three tools that we use to create events. First things first: we start by getting together with you and discussing your upcoming event. We want to hear your ideas, and see what you have in mind for the occasion. Good communication is the foundation of everything that we do, and the key to keeping everyone on the same page. Explain your ideas event to us, and let us take it from there. Next, we’ll move forward and begin planning your event. Together, we’ll look at your event details and see how we can turn your dreams into reality. At this stage, we’ll look into venue options, if you don’t have one in mind already, as well as other important details for the occasion including the décor, the menu, contractors, performers, and more –keeping you involved every step of the way. Finally, it is time to put the plan into motion and make your event happen. We’ll look together at the details, to ensure that your event comes together according to your expectations, and budget. This stage is the accumulation of previous weeks that were spent planning and coordinating every detail. Our initial work will allow us to ensure, with confidence, that your event will be the special occasion that you’ve been looking forward to. So there you have it; three necessary tools for event success. If you have an upcoming event, consider enlisting the experience of a professional event planner to ensure that your occasion is everything that you’d hoped it would be –and more. Planning an event? Contact Bash Divas, professional event coordinators for events in Toronto and the Greater Toronto Area. Planning a party? Follow these steps to ensure it’s a success! If you’re planning a party, naturally you’ll want it to go off without a hitch. While it may seem overwhelming during the early stages, the fact is that with proper planning –and hard work, all of the over-the-top preparations will pay off when the big day arrives. Whether you’re organizing a corporate event or a bridal shower, there are a few things that you can do to ensure party-perfect success. Here’s a quick checklist for you to follow. Keep to it, and you’ll be able to enjoy the big day when it arrives. First thing first, ensure that you have enough help for the big day. Depending on the size of your party, this could mean enlisting the assistance of your friends and family, or a professional who will work to make your day extra special. Having a theme will help you to choose coordinating décor and food. If you don’t want to have a theme though, no worries –just choose two, or three coordinating colors instead. Or, have a theme for your food to ensure that it all goes together. Ideas could be Mexican food, bistro, light refreshments and drinks, or dessert only. Armed with your theme and your helpers, you’re ready to notify your guests. Send out invitations early, and inform guests of the theme, the dress code, for example: costume, swimming party, or informal, as well as the type of refreshments that will be served. What will you serve? Will you have light refreshments? What about drinks? If you’re having a dinner party, now is the time to plan the table layout. Make sure you have enough tableware, and plan the centerpieces, individual place settings, and place cards. Once you have a menu, you’ll be able to write up an ingredients list and hit the stores. Stock up on extra to encourage your guests to linger for longer. You’ll also want to buy the decorations and supplies for your table settings. When should you prep the food? Ideally, you’ll want to be able to make as much as possible ahead of time, and freeze things that can be frozen ahead of the big day. Ideally, you’ll want to clean one or two days ahead of the event. Do as much prep as you can ahead of time. This means cooking the last of the food, making the individual place cards, decorating, and arranging flowers. Finally, the day of the event, you’ll want to finish the final steps. Mix the dips, make the drinks, set up the final decorations, and make sure the last of the food is ready to go. Planning ahead of time is key to a successful event. Do as much as you can early, to save you time –and stress on your big day. Then open the door, greet your guests, and have a good time! To ensure that your party is a success, consider enlisting the services of a professional party planner. At Bash Divas, we’re your partner for brilliant party success! Discuss your ideas with us today! When planning your event, make sure you have a backup plan for major things that could go wrong –like no-show vendors! If you’re planning an event, then naturally, you’ll want everything to go according to plan. Unfortunately, though, we live in the real world, which means that Murphy’s Law often reigns supreme. If things can go wrong –chances are they will. This is especially true when an important occasion is at stake. While this doesn’t mean that you should curl up in despair –it does mean that you should take precautions ahead of time to disaster-proof your big day. Let’s look at three common problems that can put a damper on even the most well-planned occasion. See how you can cope with these unexpected wildcards, and take precautions to ensure that your event goes off without a hitch! No-show vendors or performers can throw a wrench in even the most well-planned party. Even if you’ve booked a band or catering company months in advance, people get sick, traffic jams happen, and sometimes, people just can’t make it. To save yourself when your star performer doesn’t show, make sure you have a list of backup vendors that are able and willing to step in at the last minute in case someone fails to come through. While you can’t control the weather –sorry! You can take precautions so that the weather doesn’t have to spell disaster for your event. Save your outdoor occasion from unexpected rainfalls by ensuring that you have a backup plan in case of showers. This means choosing a location that will allow you the use of indoor facilities, or, investing in a marquee. You’ll also want to weatherproof your event, and choose strong and durable decorations that will be able to hold up –come rain or shine. Technology’s great –but it’s especially prone to last minute disasters. This is because there are so many things that could go wrong with it –from speaker failures to power problems. Make sure you do a few test runs before the big day, and the day of the event as well, to ensure that everything’s working properly. Finally, make sure you have alternate entertainment planned, just in case things go wrong. In any event, remember, in most cases, pitfalls aren’t as major as they seem to be, and often, your guests won’t even notice, or mind if a minute detail goes astray. By having a backup plan for major disasters and keeping a level head for everything else, you’ll be able to pull off your event without a hitch –and keep your show on the road! Need help planning your event? Consider hiring a certified event planner, to ensure that your day will be everything you’re hoping for! Life is filled with magical milestone moments, and all of them deserved to be celebrated. Whether you are planning a first birthday party for your child, a graduation party for your teen or an anniversary vow renewal for your parents, you need to rely on the experts in order to pull off an unforgettable event. An event planner will take any celebration, and take it to the next level for both you and your guests. 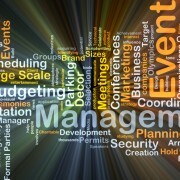 An event planner eliminates your stress. They take over the party planning process, allowing you to make the decisions without dealing with the aftermath. They take care of every detail — even the details you forgot to consider. You will save money. Some people immediately think of an event planner as an unnecessary expense, but the fact of the matter is a professional event planner will save you money. You give them your budget, and they use their expert negotiating skills to hire the best vendors for the right price. There will be creative and unique touches throughout the entire event. Event planners love what they do, and they always have another incredible idea that they have been dying to use. They will take any opportunity they can to be creative with your theme, and they will bring your event to life in a way that no one else could. The right people will be available to get the job done. Event planners know the people in the industry who can be trusted to pull off an amazing event. You get to enjoy the party! Just imagine yourself actually eating the meal at the event that you worked so hard to plan — that in and of itself is reason enough to hire an event planner! If there’s another big event coming up that deserves the celebration of a lifetime, don’t cast aside the idea of an event planner. Ask yourself if you want this event to stand out amongst the rest? If so, then yes you definitely need the professional touch of an event planner! Bringing Clients Face-to-Face With Their Ideal Audience is a True Win/Win! Are you looking for a new way to engage clients and prospects? This question is, of course, rhetorical, and what I am about to propose is not “new”—just overlooked. Many times, entrepreneurs miss opportunities, buried within their list of contacts, just waiting to be developed. Over the years you have, no doubt, formed positive relationships with clients and prospects–clients who could benefit from people you know. 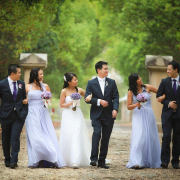 You also have solid relationships with other event planners, vendors, and suppliers. Since you are already involved in creating amazing events for your client, why not turn some of that magic into opportunities for yourself? You can add value to your existing services by bringing your clients together with clients of your colleagues. The idea is to network your respective clients together. 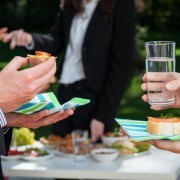 Consider co-hosting an event that will allow clients to connect with and do business together. You’ll want to spend some time carefully selecting people for your invite list. This is the nucleus of successful matchmaking. We’re not talking about a typical meeting where random strangers show up, exchange business cards and hope for the best. This one requires an understanding of your clients and what their ideal audience really looks like. Begin by looking at your top clients and asking them a few questions so you can “better understand their needs.” This alone will earn you some points. Then carefully select colleagues whose own clients will be good referral sources for your clients. This process should work both ways; have people ready to refer to your colleague’s clients as well. Business matchmaking events are a true win-win. In your clients’ eyes, you become more than a great service provider. You become a brand ambassador—one who has gone beyond expectations by physically placing your clients in front of interested prospects and buyers. You are bringing clients and prospects face-to-face with their ideal audience. Talk about event marketing. It doesn’t get much better than that! Clients will want to stick with you, prospects will want to come on board, and your professional network will grow. Everybody wins. Get together with your colleagues and figure out a way to monetize your events and you win again! If you are interested in brainstorming with me on a project like the one I just mentioned, leave a comment below. http://bashdivas.ca/wp-content/uploads/2016/04/dreamstime_s_38974552-2.jpg 533 800 Sarah Sekalala http://bashdivas.ca/wp-content/uploads/2015/01/BD-Web-Logo.png Sarah Sekalala2016-04-20 22:24:522016-04-27 03:11:40Bringing Clients Face-to-Face With Their Ideal Audience is a True Win/Win!